This is the second time the home builder has worked with TreeFolks; the first time was in 2014 to help replace 34,000 acres of Lost Pines that were destroyed in the wild fires in 2011. 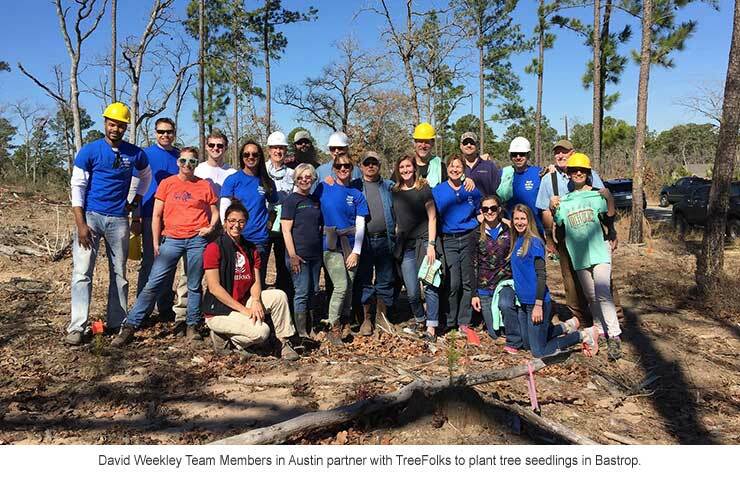 Shortly after the fire, TreeFolks committed to help Bastrop County and the Texas A&M Forest Service reestablish the forest on private land by planting two million seedlings over five years at no cost to landowners. David Weekley Homes strives to make a positive impact in all the communities it builds in through the volunteer and charitable efforts of the company’s CARE program. This is accomplished by company team members volunteering countless hours to different organizations in their communities and by the Weekley Family Foundation donating more than $100 million to a variety of organizations through the U.S. and abroad for more than 20 years.